Substitute. I’m a sucker for novels that delve into moral complexity. 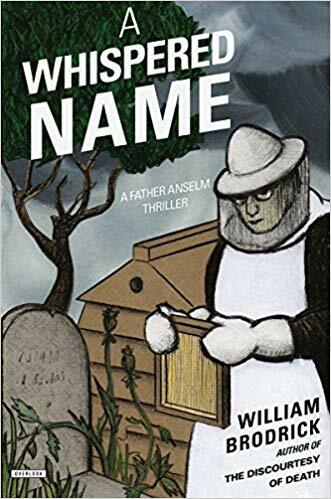 One book in the Father Anselm series by William Broderick, a novel titled, A Whispered Name, explores the decisions made during wartime and the secrets and consequences that followed. One soldier substitutes himself for someone else, and decades later, Father Anselm unravels the reasons why, and the role of his mentor in what happened. I expected to be reading a quick mystery, and instead I slowed down as the discernment of right from wrong got muddied, and I paid close attention, to great satisfaction. Rating: Four-star (I like it) Click here to purchase A Whispered Name from amazon.com.